High quality lacquer has an appealing look and feel that is difficult to duplicate with other wood finishes. Many professional painters use this finish to save time and still produce pleasing results. Using a quality finish is always a good idea and with this finish you have several choices, from cheap to very expensive. Lacquer wood finishes have been around for a very long time and has developed a great deal of vagueness surrounding its application. Most professionals learn from other professionals and trial and error. Generally this is one of the most difficult finishes to apply, requiring more skill and experience. Even with the difficulties with proper application this is still one of the most beautiful wood finishes. Unfortunately it does have some other drawbacks. Interior use only. Low ultraviolet stability. This is also true for catalyzed varieties. Cheap products are very soft and easily scratched. Low resistance to water. This mainly applies to cheap products. Dries very fast. With favorable weather the finish will dry to recoat in 30 minutes or less. Often this is a good thing, but can present challenges to the inexperienced. Strong solvent smell. Use with a lot of ventilation. Extinguish all pilot lights and open flames. On the positive side, this finish adds a great deal of depth and character to all wood surfaces without looking like plastic. Plus, quality finishes are crystal clear and will remain that way for an indefinite amount of time. I can’t stress enough, use the more expensive finishes. They might be more difficult to apply, but will look better and last longer. This protective wood finish is unique among the many types of clear wood finishes. It cures by evaporation of the solvent without a chemical change taking place and can be easily dissolved with the same solvent. Other finishes, like varnish or acrylic urethane, cure through chemical reactions and cannot be easily dissolved. The strong solvent used creates compatibility problems when trying to apply over existing finishes. Wood finishes like varnish and urethane’s are damaged by the solvent, causing cracks or bubbles. The best recommendations are use lacquer over its self only and it is preferred to start with unfinished wood. Inexpensive lacquers are often used on trim and woodwork in new homes to save time and money. This type of finish is often nitrocellulose lacquer. Cheap wood finishes are easily scratched or damaged by water, the typical ring left by a sweating glass of ice water. It’s a shame when a cheap finish is applied; repairing this type of finish can be as easy as wiping with lacquer thinner in order to dissolve and redistribute the film over a light scratch. Unfortunately you’re still stuck with a soft easily damaged finish. I highly recommend spending extra money for more durable quality wood finishes. Professional wood finishes can include the above, but often is a catalyzed finish. 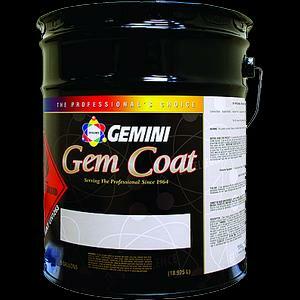 This type has a catalytic compound added to make it dry into a more durable finish. This includes better scratch and water resistance. Typically catalyzed finishes are used on cabinets and furniture, but is a good choice for doors and trim. Pre-catalyzed lacquer has the catalytic compound added at the factory. It is activated when the can is opened and the liquid is exposed to the air. The entire can must be used in a short amount of time. Storage of unused finish isn’t an option. The amount of time you have depends on the formula used during manufacturing; follow the directions on the can. Post-catalyzed lacquer has the catalytic compound shipped separately from the finish. Both components must be mixed together before application. The best part is you can mix only what you need and store the two components for latter use. Bushable types still dry fast, as compared to varnish, so you must work fast. Has a steep learning curve, so practice on a scrap piece of wood before committing to an entire project. This is the most user friendly type. You must use a high quality natural bristle paint brush. Spray only types cannot be brushed. These require the use of an airless paint sprayer or HVLP sprayer. Spray only finishes are more difficult to apply, but dry much faster without the risk of brush marks. Although typically a professional only product, lacquer is still a useful wood finish for the experienced woodworker and do-it-yourself homeowner. Read the manufactures recommendations carefully before application.